Why do cats stick their tongue out? I always wanted to know this answer as a teen growing up with pet cats around the house, it always bugged me that no one could give me a simple yet reasonable answer to this question. Well, today we will find out once and for all. Any cat owner will tell you this is a little weird habit, like dogs licking their own bum or chasing their own tail. 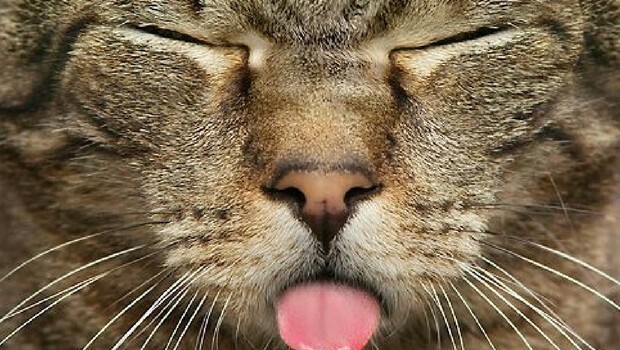 Cats are known to stick their tongue out and it sometimes look so funny you would think they do it on purpose. Well, are they? Keep reading below to find out once and for all the reasons that cats stick their tongues out and look like giving you the silly face. So why do cats stick their tongue out? The short I don’t have time to read the whole article right now answer is that they are in the middle of grooming themselves and you just interrupted them. 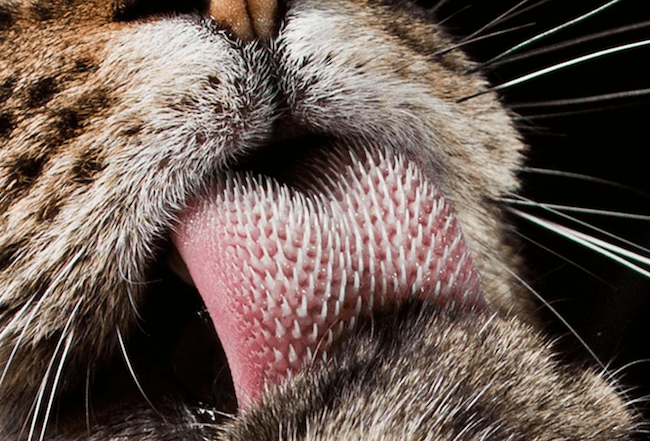 Yes, cats spend around a 1/3 of their lives grooming ( Lucky basterds ) so they stick their tongue out and just brush it against their fur to remove damaged hairs or clean up dirt. As we mentioned in a previous post, a cat’s tongue is not like a human tongue. Cats have many little spikes on their tongues, when looking up close, a cat tongue may look like sand paper, and it helps them with the grooming purpose, so when your pet cat spends so much time licking it’s own fur, you know it will be easy to catch him with his tongue out. Another popular reason cats have their tongue out is just how they sleep. Sometimes when a cat falls asleep their mouth stays a little bit open and their muscles are relaxed, so their tongue might slip out and create the iconic cat sticking tongue out look. Yet another reason could actually be a medical condition such as a problem or injury to the cat’s jaw and mouth, so if you notice your cat with his tongue out all day in a way that doesn’t seem normal to you, make sure to take him to a veterinarian. Maybe your cat just ate something he wants to throw up. Sometimes cats eat things that they regret shortly after, so he might be trying to get rid of it. If your cat is older, constantly sticking his tongue in and out, it may also be a signal of dementia, so you need to check and make sure your pet doesn’t show these symptoms. More on the subject of medical conditions, you should know that there is a thing called periodontal disease that causes your cat to drool excessively and hang their tongue out pretty much all the time. This happens because cats, like humans, can develop gingivitis and periodontitis, which are a form of bacteria infections caused by poor dental care. Your cat can even suffer from chipped tooth or tooth decay, which cause pain and discomfort and could lead to him sticking his tongue out. If you leave your cat in a hot cat or somewhere with excessive heat, he will suffer from a heat stroke, which is a life threatening situation and should not happen AT ALL, but obviously he will stick his tongue out in an attempt to stay cool. If you see your cat panting, drooling and his skin tone is red ( not like the pink color usually have ) you should cool him down gradually with water and shade and consult your veterinarian for further treatment. Yes, cats can get motion sickness just like you and me, so if you take him on a car ride and the road is bumpy, you might see him panting, sticking his tongue and drooling, it happens because the cat is uncertain where he is going or his natural in ear imbalance was distorted. After you get him out of the car everything should be just fine and normal. contact with poison, if your cat ate or came in contact with house hold items like cleaning products, he may suffer from poisoning, and to get rid of the irritate taste, he will stick his tongue out. If you notice or know your cat ate these items, and showing signs of drooling, tongue out, dizzy and difficulty breathing, you should take him to the veterinarian as soon as possible. We hope this article helped you understand why is your cat sticking his tongue out, and if it did, you’re welcome. Next Story → Why Do Dogs Eat Cat Poop And Why is it Delicious For Them?